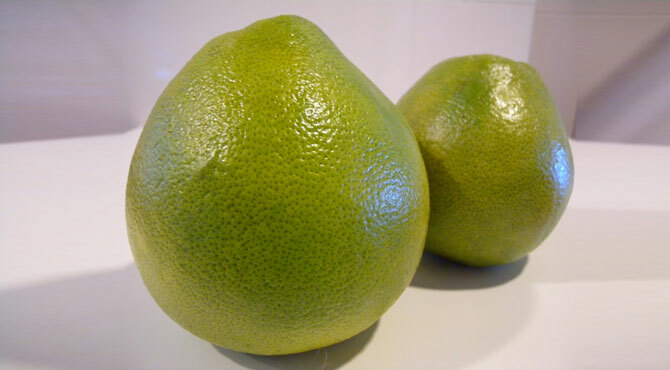 Origin Grapefruit was thought to be originated from pummelo. Grapefruit is the fruit of the citrus species Citrus × paradise in the family Rutaceae. Grapefruit is a hybrid of pummelo (Citrus maxima) and orange (Citrus sinensis). Common names of Grapefruit: Common Grapefruit, Pomelo, Grapefruit, Paradisapfel, yuan you, Toronja, pink grapefruit and grapefruit peel. It is the fruit of citrus tree which is well known for its sweet to sour fruit. In the late 19th century, this fruit was widely known and was cultivated as an ornamental plant. United States was considered as the primary producer of Grapefruit with fruit farm in Texas, Florida, California and Arizona. In 18th century, the fruit was developed as a cross of orange and pomelo. As it grow in clusters like grapes, the name occurred as Grapefruit. The varieties of Grapefruit are: Oro Blanco, Pink, Ruby Red, Thompson, Flame, White Marsh, Star Ruby, Pummelo HB and Duncan. Grapefruit was thought to be originated from pummelo. James MacFayden separated it from pummelo in 1837 in Flora of Jamaica. Then he gave it the name Citrus paradisi. In 1948, the researchers understood that Grapefruit is a hybrid of pummelo (Citrus maxima) and orange (Citrus sinensis). The name was changed to Citrus x paradisi in order to match hybrid nature. Grapefruit is extensively cultivated in tropical and subtropical countries. Southern USA, Caribbean Island, Philippines, Israel, Morocco, South Africa, Argentina, Brazil and Australia are the most relevant countries of growing Grapefruit. Grapefruit is native to Malaysia and Indonesia. In 1870, the big golden groups attracted John A. MacDonald, who lived in Florida, Orange County. John set up a garden center. In 1885, Florida delivered Grapefruits to Philadelphia and New York which produced curiosity to make an industry of Grapefruit business. Later 1800s, the trees of Grapefruit was cultivated within Southern Texas. By 1910, Grapefruit became successful in California, Arizona and Rio Grande Valley of Texas. The pink varieties of Grapefruit was also produced. In Jamaica, Grapefruit was blended with tangerine in order to form ugli. In 1929, a citrus farmer of Texas recognized a red Grapefruit growing in pink Grapefruit tree as Ruby Red cultivar. Since 1940s, Grapefruit has a home endorsed in the U.S. The peak season of Grapefruit in U.S. is October-June. 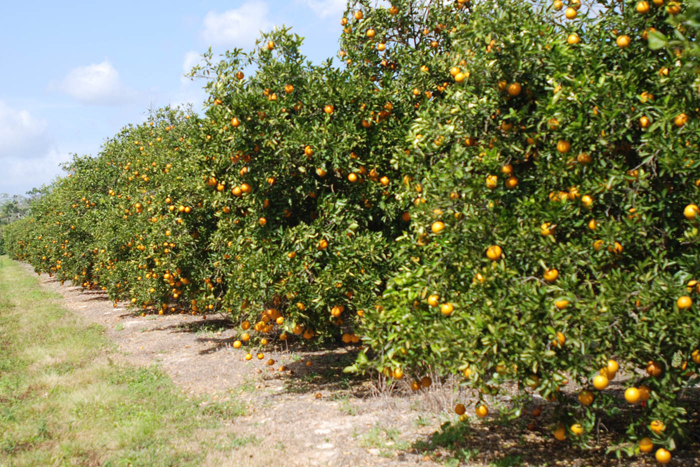 It was firstly recorded in 1823 and got its name in 1830 as Citrus paradise. In mid to late 19th century, the cultivation got started massively in USA. 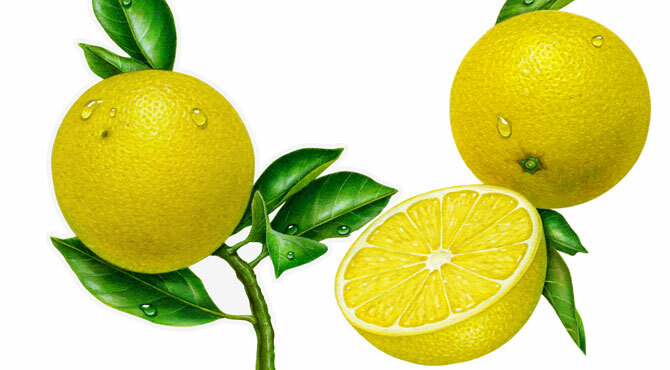 Today it is cultivated on all the citrus growing extent of the world. Grapefruit is an evergreen armed tree which prefers warm subtropical climate and thrives in well-drained soil. The tree usually grows upto 5-6 m in height with trunk diameter: 15 cm. It could reach up to 13-15 m (43-49 ft). 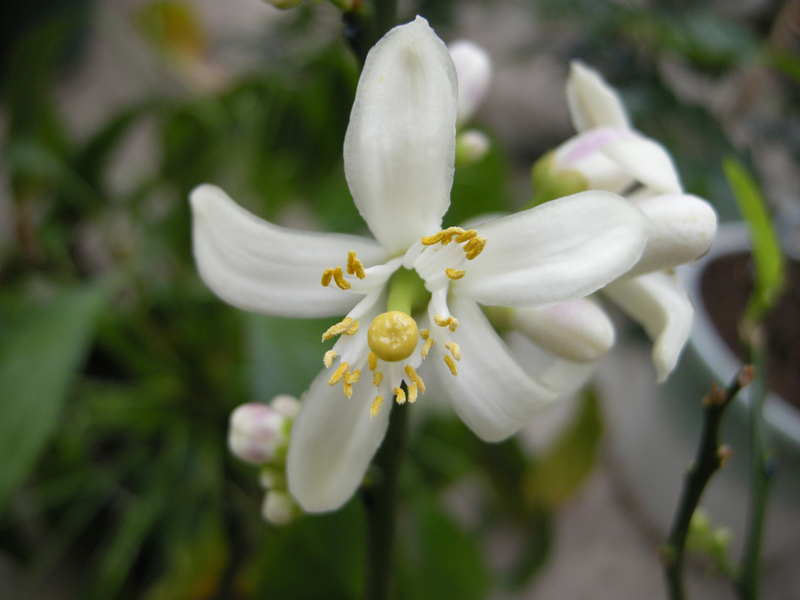 The flowers have four white petals and are 5 cm (2 inch) in size. Flowers grow in 2 to 6 axillary clusters. The petals are four linear and oblong rounded. It has 25 to 26 stamens with definite yellow anthers. It has thorny and prickly stems. The elliptic to ovate leaves are alternate, glossy, dark green and 15 centimeters (5.9 inch) long. The white flowers turn into oblate to globose fruit having a diameter of 10-15 cm (3.9-5.9 inches). The color of the fruit ranges from pale green, pink to yellow. The flesh inside the fruit differs from white, red to pink. 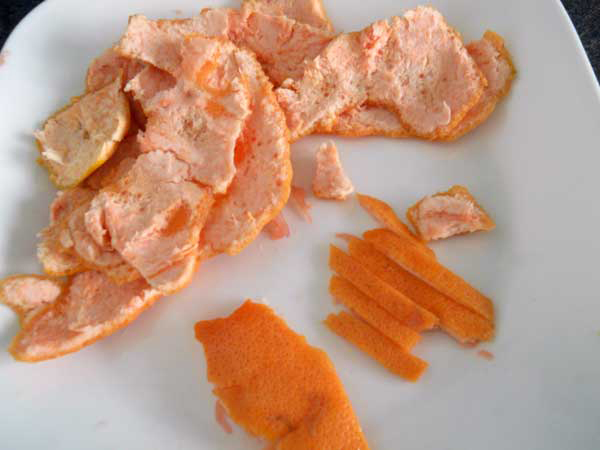 The outer peel of the fruit ranges from yellow to orange. Each fruit weighs about 1 lb. (0.5 kg). The flesh covers few seeds with numerous embryos. It has sour sweet to tart flavor and fragrant to acidic taste. The serving size of 230 grams provides 97 calories, 202.54 grams of moisture, 1.77 grams of protein, 0.32 grams of total fat, 1.83 grams of ash, 24.52 grams of carbohydrate, 3.7 grams of total dietary fiber, 15.85 grams of total sugar, 8.07 grams of sucrose, 3.7 grams of glucose and 4.07 grams of fructose. It provides 79.78% of Vitamin C, 65.28% of lycopene, 19% of Vitamin A, 18.86% of carbohydrate, 12.06% of Vitamin B5, 9.74% of total dietary fiber, 9.38% of Vitamin B6, 8.25% of Vitamin B1, 8.22% of copper and 7.50% of vitamin B9. Grapefruits are rich in nutrients, Vitamin C, A and low in calories. These fruits provide healthy skin and reduce the chances of various diseases and ailments. It also supports weight loss when added to the diet. The intake of vegetables and fruits are correlated with the reduction in the chances of health problems. The studies show that high intake of Grapefruit lowers the chances of diabetes, obesity, mortality and heart disease. It stimulates the complexion health, boost energy along with overall health. It enhances circulation, vitalizes lymphatic system, cleanses kidneys and regulates the body weight with its daily use. 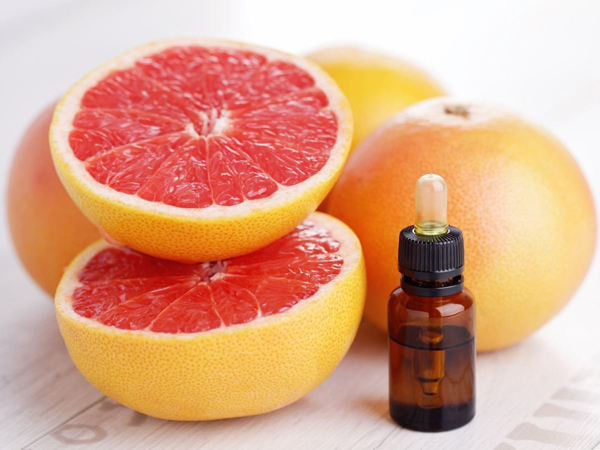 The essential oil extracted from Grapefruit helps to humidify appetite and lower the display of cellulite in the areas such as thighs and belly. The oil is also used in the massage blends as a skin toner and provokes lymphatic system. It also treats stiffness, fatigue, fluid retention, acne and enhance skin tone. Flowers essence is used as a stomachic, cardiac tonic and also treats insomnia. The pulp is an aid for treating urinary ailments. The seed extract of Grapefruit is used as for anti-fungal purposes. The beverage made from Grapefruit is a cardiac tonic. Grapefruit helps to provide relief from gas and indigestion. The fruit possess diuretic properties which help to cure water retention as well as liver and gall bladder ailments. Grapefruit is rubbed on skin as an aid for acne and oily skin. 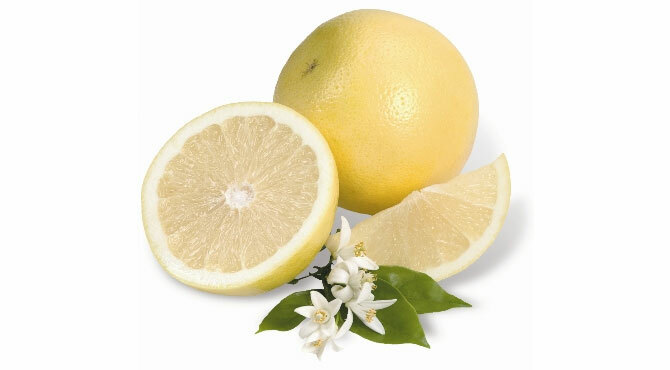 Grapefruit pulp, because of its acidic nature, is an effective treatment for urinary infections. 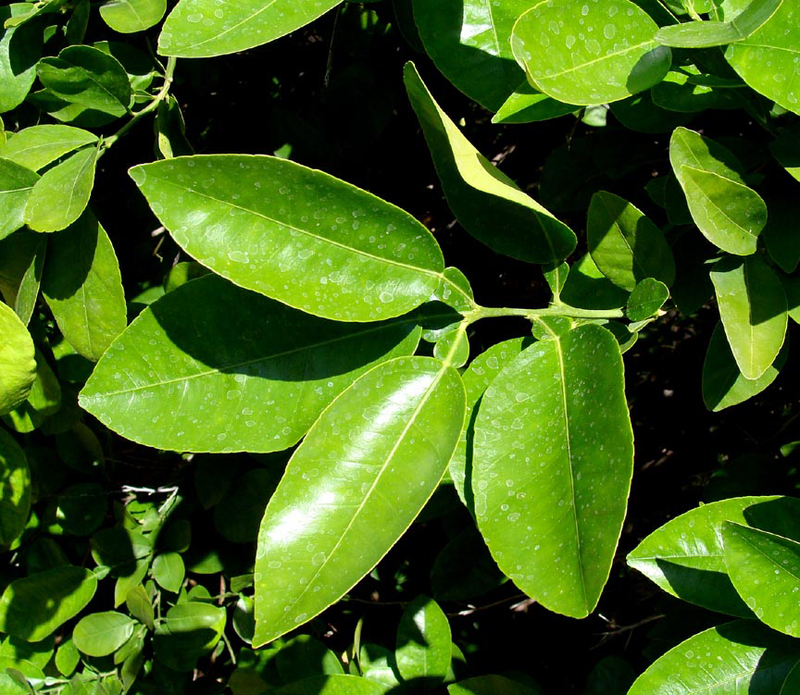 The leaves of Grapefruit tree possess antibiotic properties. The flesh helps to treat poisoning. 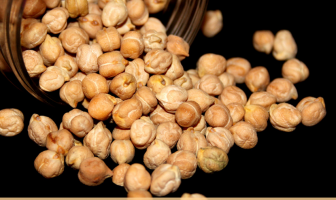 The seed extract treats cataracts, ulcers, alimentary tract and urinary infections. It helps to prevent flu and colds. It eliminates excess water and helpful for cellulite. It helps to uplift mood and combat stress as well as depression. It also combats stiffness and muscle fatigue. Grapefruit promotes hair growth and enhance hair care. The juice of Grapefruit is useful for high cholesterol, cancer and skin diseases. 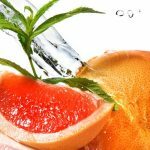 The seed extract of Grapefruit has viral, bacterial and fungal infections. It also treats flu and common cold. 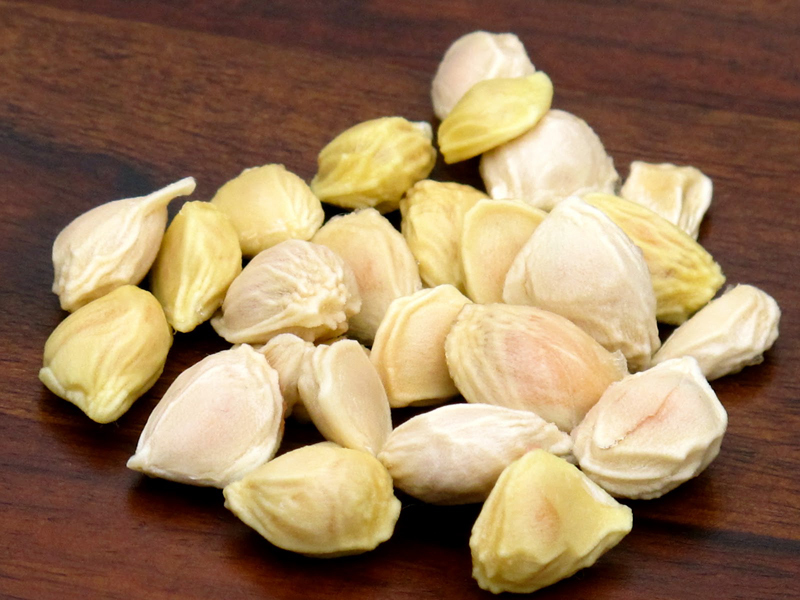 The seed extract acts as an aid for skin irritations and vaginal yeast infections. The vapor of Grapefruit is inhaled to treat stress, headache and depression and lung infections. Some drugs could interact with Grapefruit. The people who intake statins should avoid grapefruit. Grapefruit could interact with certain medications such as calcium channel blockers and statins. 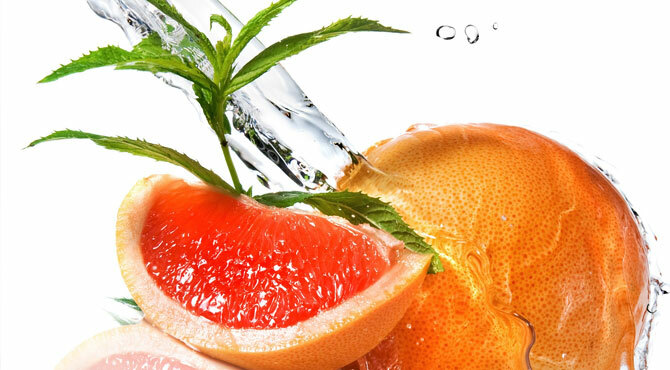 The excessive use of Grapefruit can wipe out all intestinal bacteria such as conventional antibiotics. One should consult the physician before the use of grapefruit. The fruit could be made into juices. It could be added to the salads. The segments of Grapefruit could be combined with sliced scallions, shredded Napa cabbage, lime juice, toasted pecans and olive oil. Cooked shrimp could be tossed with tarragon and mayonnaise and then served with sliced avocado and Grapefruit segments. The segments of Grapefruit and sliced beets (cooked) should be arranged on a plate. Goat cheese and olive oil should be used as a topping. The halves of Grapefruit should be spread with honey and broil it till it is browned in spots. The segments of Grapefruit should be cooked lightly in a skillet by adding sugar and vanilla extract. Then serve it over pound cake or ice cream. Sour cream should be mixed with brown sugar. Lump on the segments of grapefruit and scatter the chopped ginger. The juice of Grapefruit should be combined with crushed mint leaves and club soda. The pulp may be consumed by adding brown, white sugar and honey. Grapefruit is consumed as appetizer. The fruits are used in fruit salads, fruit cups, gelatins, jellies puddings and tarts. The fruits are canned in the form of syrup. In Australia, Grapefruit is prepared as marmalade. In Costa Rica, Grapefruit is cooked make sweets. The juice of Grapefruit is used as a fresh beverage and canned juice. The fruits can be fermented to make wine. The peel of Grapefruit peel is used to make candies. The peel is used to provide flavor to chewing gum, soft drinks, sweets, candies, desserts, ice cream, baked goods, etc. The peel of Grapefruit could be used as candied. The juice of Grapefruit is used In Haiti to make jam. The mixture of coconut, brown sugar and flaked almonds should be sprinkled over the fruit and grilled till it is lightly browned. Florida is the largest producer of Grapefruit in the world. 100 g of Grapefruit provides 60% daily value of vitamin C.
It contains lycopene which provides pink color to the fruit. The consumption of Grapefruit helps to reduce fat and weight. 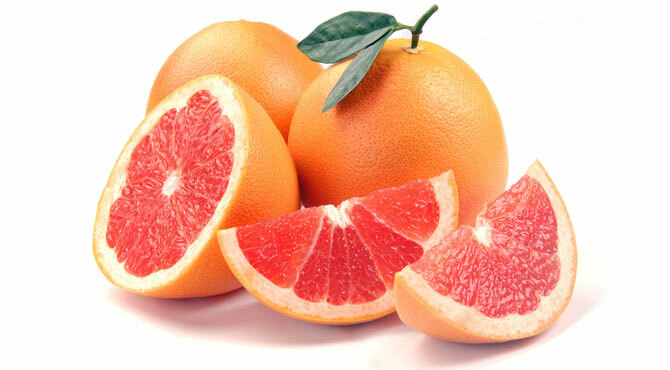 Grapefruits are also available in the form of red, pink, golden and white. It is called forbidden fruit and confused with the pomelo. Botanically, Grapefruit is a berry. Grapefruit is considered as one of Seven Wonders of Barbados. 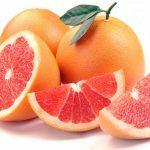 February is considered as National Grapefruit Month. 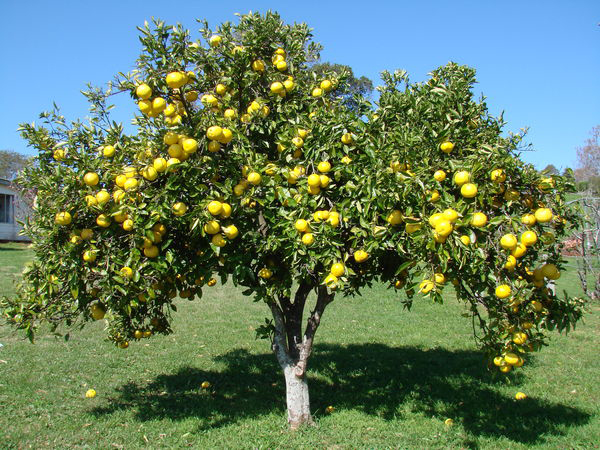 Grapefruit trees can reach 25 to 30 feet tall. An individual Grapefruit tree bears about 1,500 pounds of fruit. 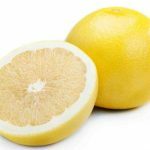 Grapefruit also called citrus paradisi is a member of citrus family which is regarded as a crossbreed of pummelo and orange according to Purdue University Center for New Crops and Plant Products. Within 1700s, Grapefruit was found in West Indies and in 1820s, it was taken to Florida. Grapefruit grow like grapes. Moreover, they provide various health benefits such as vitamin C, potassium and dietary fiber. There are various types of Grapefruit with a different physical appearance and unique flavor. Thompson and Foster grapefruit are the two types of pink grapefruit. 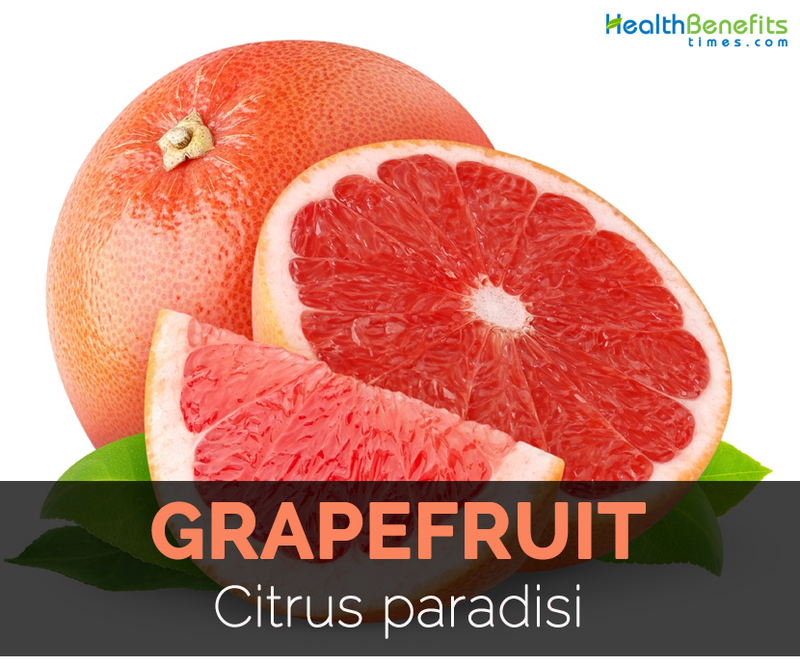 It is also known as Pink Marsh grapefruit. 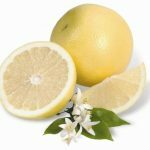 In 1913, Thompson grapefruit was found by W.R. Thompson according to Purdue University Center for New Crops and Plant Products. 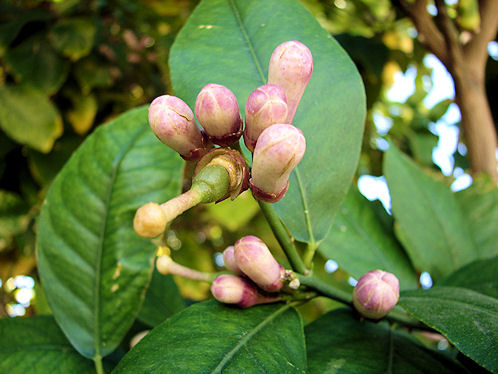 The fruits do not have seeds and has light yellow peel and pink flesh. It has low bitter taste. Foster Pink Flesh is the less known type of Pink Grapefruit which was found in 1906 in Florida. It has light yellow peel with lift buff colored pulp. Foster grapefruit is succulent and soft. It possess more than 50 seeds in the moderate dimension. 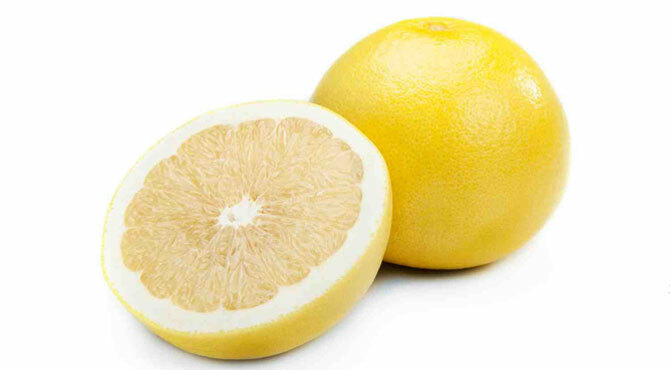 White Marsh grapefruit is the fruit with light yellow peel and buff colored pulp with no seeds. It is delicious and rich in taste. Duncan is a white grapefruit with seeds but is very juicy. It has light yellow peel with buff colored pulp. 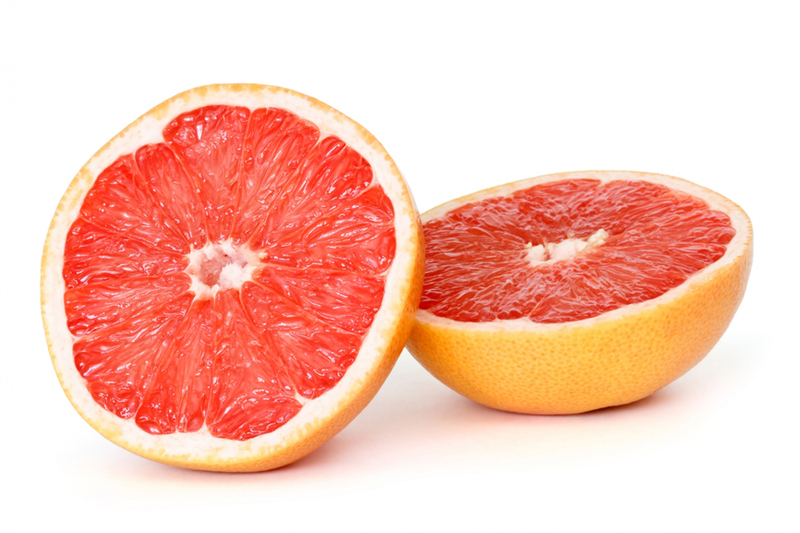 Ruby Red and Star Ruby are the types of Red grapefruit. Ruby Red grapefruit is also known as Red blush which is found on a Thompson pink grapefruit tree in 1920s. It has light yellow skin, bright red flesh and is seedless. The taste ranges from bitter to sweet to sour. Ruby Red is mostly cultivated in Southeastern Florida. In Texas, within the mid 1930, other red grapefruit varieties called Hudson Red is based on has yellow peel and bright red flesh. It has simple and strong pulp. Star Ruby is seedless and has flavor with more sugar and acid if compared to Ruby Red varieties. Within 1830s, Duncan selection of Grapefruit was found in Florida. By 1890 it was commercially developed. 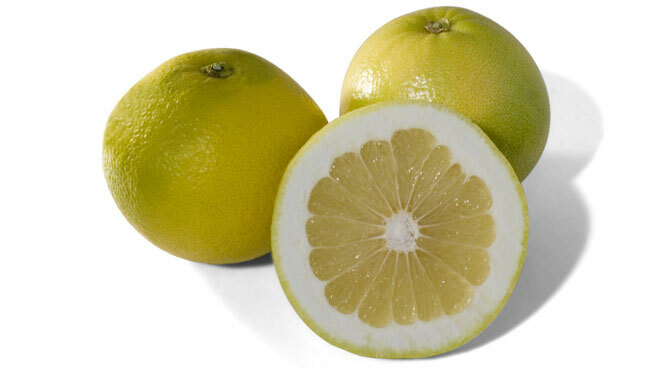 The flesh and juice are light yellow which is also called White Grapefruit. Duncan is the mostly used for juice, syrups and salads. It is spherical in shape and 9-12.5 cm broad. In 1860, Marsh grapefruit is invented in Florida. It is spherical, medium-sized which is about 9-12 cm broad. It is grown in warm environment. It is nearly seedless. 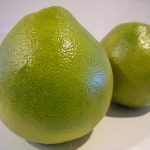 Pomelo is also called pommelo, pumelo, shaddock and Chinese grapefruit. 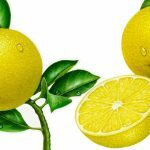 It is the biggest citrus fruit. 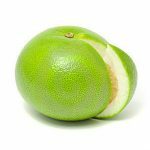 It is considered that pomelo is a cross between pomelo and wild orange. 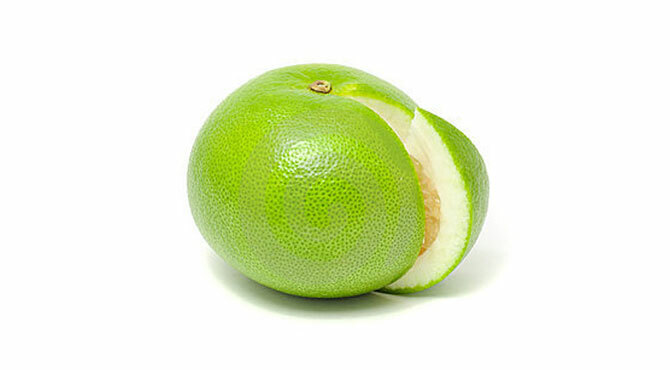 Pomelo has sweet flavor. 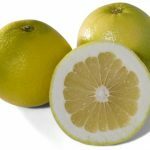 Oroblanco is a mixture of Marsh grapefruit and Siamese Sweet Pomelo. It is seedless and seedless. Sweeties are called oroblanco grapefruit from Israel. Jaffa Sweetie is a grapefruit from Israel. It has sweet flavor like Pomelo. They are sweetdue to the deficiency of acid. They are low in calories. Every fruit possess of 24-40 calories. In 1958, MeloGold was created in the University of California Riverside. They are sturdy, and subtropical. Melogold is a crossbreed of Oroblanco variety. The fruit is sweet in taste, seedless and delicious with pale yellow flesh. Melogold has green pebbly skin with pale yellow flesh. It usually weigh about two pounds. Slice the Grapefruit in two and spoon out. It is the most satisfying method. Due to the sour flavor, few sugars could be added. It provides 100% of daily of Vitamin C. It provides various vitamins and minerals with the Grapefruit diet. Grapefruit could be dried by evaporating water from a grapefruit. Fresh grapefruit are added to make wine. Fruit shakes can be made from Grapefruit. The Grapefruit smoothie helps to enhance the diet. Grapefruit is added with bananas, strawberries, milk, yogurt and orange. Including Grapefruit along with avocado in the salsa. It helps to promote chip dip. Include a juiced grapefruit to the mixture of margarita which helps to increase the consumption of vitamin. Grapefruits could be added to various dishes. Make higher Roasted Salmon or Grapefruit Risotto with Basil and Grapefruit. Grapefruit provides flavor to these dishes. Calories 97 Kcal. Calories from Fat 2.88 Kcal.